In the Altmark region of pine forests, rye and potatoes are the main crops and in the south, fruit and wine is cultivated. The most well-known agricultural products from these regions are the onions from Calbe, milk and asparagus (Spargel) from the Altmark and apricots and sparkling wine from the Saale-Unsrut area. These ingredients form the basis of many of Saxony Anhalt’s most well-known dishes. 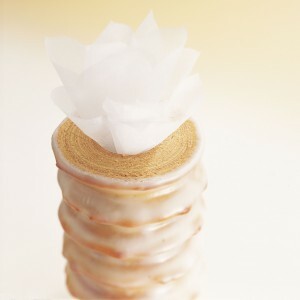 Baumkuchen is “correctly” baked by pouring or brushing layers of batter onto a rotating spit in a large oven made specifically for the task. This recipe shows how you can bake the classic cake in a standard household oven. A creamy cucumber soup topped with cubed potatoes makes for a nice and cozy meal.